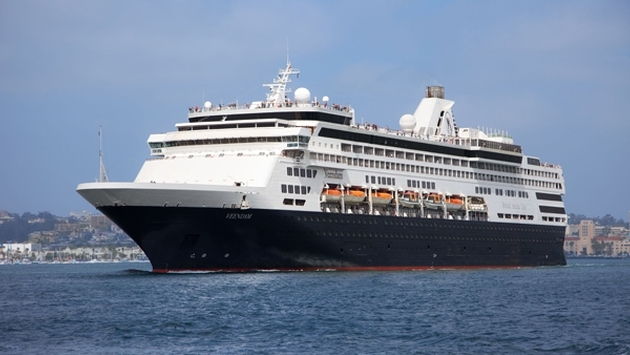 More than 120 people fell ill with gastrointestinal symptoms on Holland America Line’s Veendam during a Panama Canal cruise Feb. 8-22. The Centers for Disease Control and Prevention said 114 passengers, or almost 9 percent of the 1,273 guests onboard, reported suffering from vomiting and diarrhea, along with 10 crew members (1.74 percent). The CDC said the cause of the outbreak is unknown, although testing is underway. Norovirus is often suspected when these types of symptoms are reported. Upon returning to Fort Lauderdale, the ship underwent a thorough sanitization and departed the same day on its next 15-day Panama Canal cruise to San Diego. 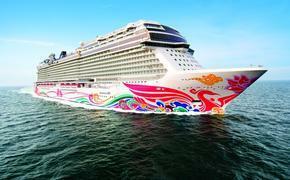 The ship sailed at approximately 6:15 p.m. on its next sailing, a 15-day Panama Canal cruise to San Diego. A CDC Vessel Sanitation Program environmental health officer and an epidemiologist boarded the ship in Fort Lauderdale. The CDC was consulted on a super-sanitization cleaning and disinfection. Stool specimens were collected and shipped to the CDC lab for testing. This is the fourth such cruise ship outbreak reported to the CDC this year. Last year, there were seven outbreaks that were determined to have been caused by norovirus, which affected 1,321 passengers. That compares to 19 million to 21 million cases of acute gastroenteritis in the U.S. each year, according to the CDC. Curiously, the Veendam and other cruise ship outbreaks generate international coverage in the consumer media, which virtually ignored a similar outbreak at a historic resort in New York, although it was reported by local newspapers. The Mohonk Mountain House in New Paltz closed down for a week earlier this month after 200 people reported gastrointestinal illness, according to a story in the Daily Freeman newspaper. After an intensive cleaning, the resort reopened on Valentine’s Day, but then on Feb. 18 was sued by guests who became sick after a stay, according to the Daily Freeman. Only cruise ships are required to report gastrointestinal symptom outbreaks to the CDC when more than 2 percent of the passengers or crew fall ill.